Animoto, a company that makes it easy for anyone to create online videos, partnered with The Female Entrepreneur Association to better understand how women business owners are leveraging social media to stand out online and help their businesses thrive. The report, Social Media Marketing for Today’s Female Entrepreneur, looks at how female entrepreneurs are shaping their marketing strategies in response to the ever-changing social media landscape. Eighty-three percent of respondents sell their goods/services exclusively online or partially online. Social media marketing is therefore an important channel for female entrepreneurs looking to generate awareness and sales, with Facebook being the most used platform. Ninety-eight percent of respondents use Facebook for marketing, with 48 percent saying they feel confident creating high-performing content for that platform. As demonstrated by Animoto’s June survey, The State of Social Video: Marketing in a Video-First World, Facebook is a powerful platform to gain new business with video marketing. Sixty-four percent of consumers said they made a purchase in the last month after being inspired by a brand video on Facebook. Female marketers are taking notice and are looking to reach consumers by increasing the time they spend on video marketing. Eighty-one percent plan to create a marketing video within the next six months. Thirty percent of respondents have already tried live broadcasting (i.e. Facebook Live) in the last six months and 31 percent have created a marketing video in the last six months using a DIY tool. Only seven percent hired someone to create a video for them, demonstrating that female entrepreneurs are embracing video creation as a core competency for social media marketing. “These days, anyone can literally start their business from their home with a laptop and an Internet connection — in part thanks to the amazing possibilities that can be achieved with social media marketing. For me, Facebook and creating videos has always been a massive part of my marketing strategy right from the beginning of starting my business,” said Carrie Green, Founder, Female Entrepreneur Association. 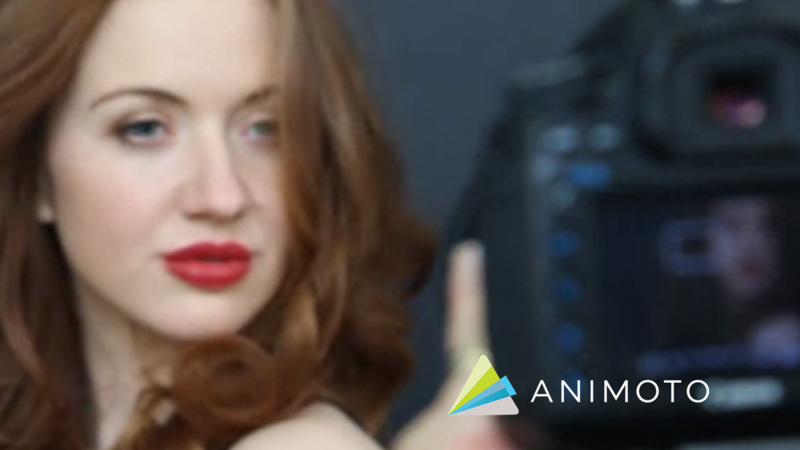 “More than two-thirds of Animoto customers creating marketing videos are women. Communicating with video is a key component to creating high-performing social media marketing content and female entrepreneurs are leading the adoption curve. These survey findings corroborate what Animoto customers have demonstrated — women are embracing video marketing as a way to stand out on social,” said Brad Jefferson, CEO, Animoto. The report was compiled from an online survey of 637 female entrepreneurs.